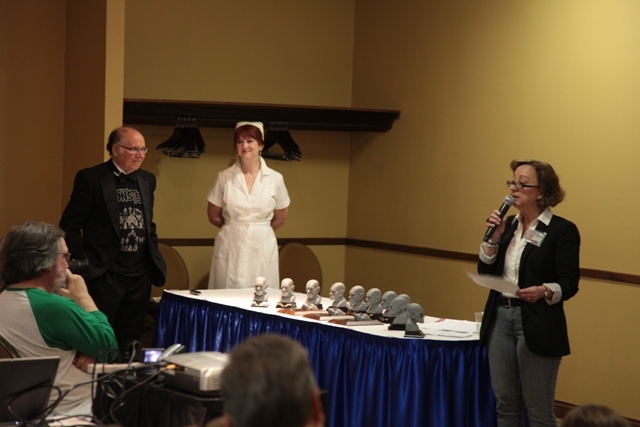 Last weekend, a small and unassuming ceremony took place amongst the festivities of Wonderfest – an annual event in Louisville for model makers and genre fans. 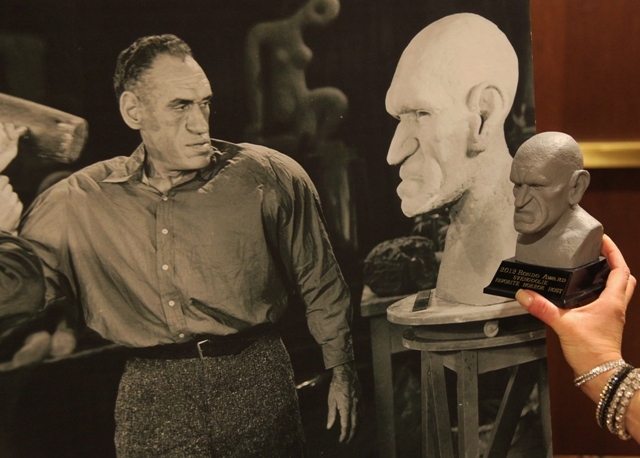 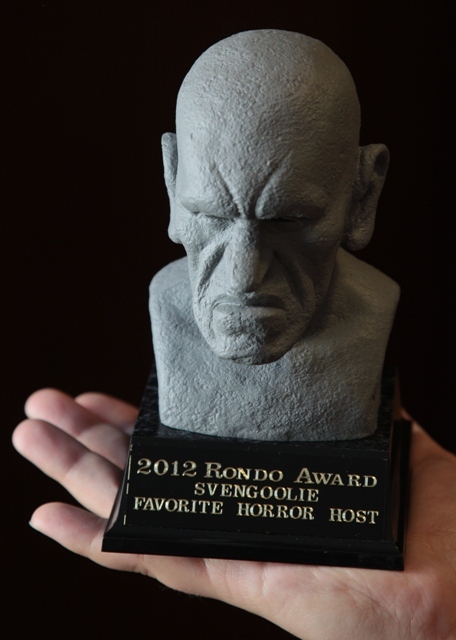 While the Rondo Awards have been heralded as the Oscars for Monsters in my fanboy world, the award show (yes, they actually have one) seems to fly by under the radar. 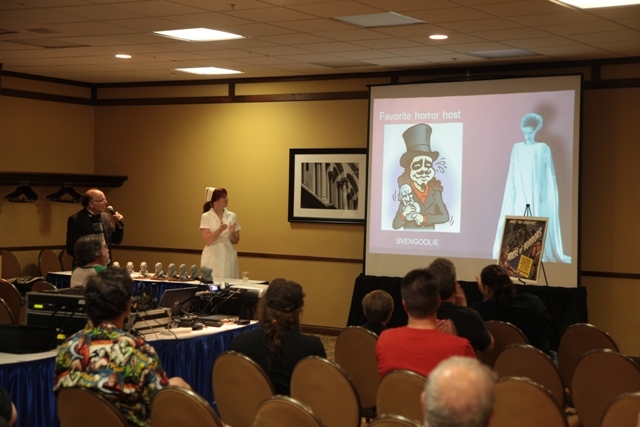 This year saw national horror host, Svengoolie, win as Best Horror Host and, while unable to accept his award personally, was represented by one of my fellow super fans, Chicago’s Matron of Monsters – Elizabeth Haney. 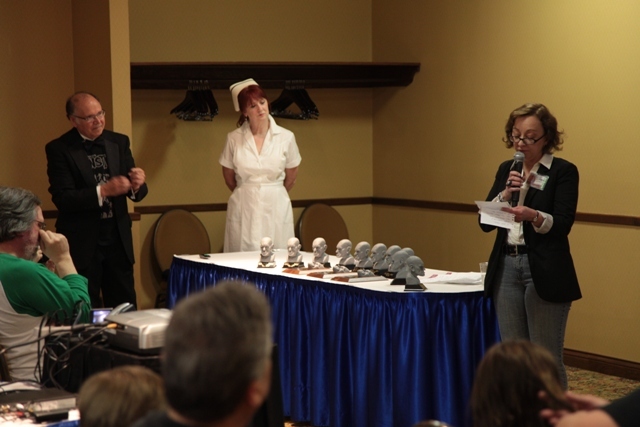 Ms. Haney works for Acme Design (the same company crafting Sven’s new coffin) and is an all around great lady! 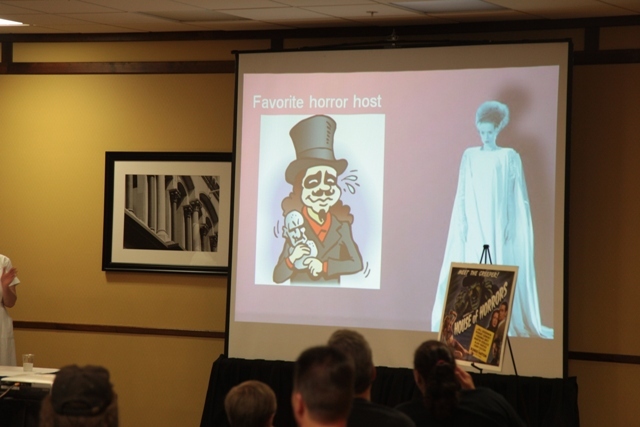 Screen depicts the art work of Jeff Carlson!